Mr. Thomas “Tommy” Lorence brings the real-world lesson learned from multiple military deployments with Bravo Company 101’st Infantry as well as serving in active combat to The Integration Company. Tommy Lorence had a decorated military career in the United States Army he was awarded nine commanders’ awards for excellence. 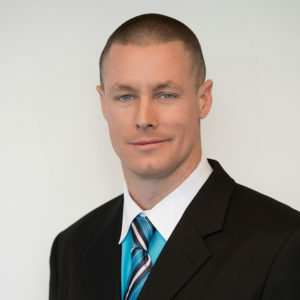 Mr. Thomas Lorence has over 15-years of Integrated Security experience working extensively within government and commercial spaces. Thomas Lorence became friends with Roger Echeandia while they both worked at Johnson Controls. When TIC began Thomas Lorence was the first to leave the comfort of the corporate world for the challenges and flexibility to work with a small business. Thomas uses the knowledge he has gained to fine-tune operations and delivery at TIC, maintaining a delivery model that is cutting edge, even with the most complex solutions and is unparalleled in today’s industry. Thomas has successfully executed various projects covering every aspect of physical security across the nation that includes sites like the FDA, US. Capitol Police, FBI, NGA, HUD, IRS, USCOE, Department of the Navy, Pentagon, Secret Service, and the White House. He has fortified every system deployed, ensuring the strictest quality control measures. Five awards for outstanding shop standards and work ethics. Nine commanders’ awards for excellent customer satisfaction and leadership skills. Established 100% workplace safety record. Access Control System Certifications including CCTV, intrusion detection and barricade systems.